If you live in or own a business in the Naples, Florida or Bonita Springs, Florida area and you need a locksmith, BB Locksmith can help. We are a family-owned business that actively supports the community organizations such as the Bonita Springs Area Chamber of Commerce, the Marco Island area chamber of commerce, and the Collier County Sheriff’s Office. Learn more about the locksmith services we offer and how we can help you. Also, a lot of hardware stores use keys that are inscribed with the words “do not duplicate,” but it’s still legal to make copies of DND keys that you own. So if you have a do-not-duplicate key that you need to be copied, we can help. It’s important to choose a certified locksmith for all of your locksmith needs because if the locksmith you choose isn’t properly trained, there’s a higher risk of damaging your locks. All of the locksmiths we hire are licensed, certified, and insured, so when you call BB Locksmith, you know you’re getting a pro to do the job. 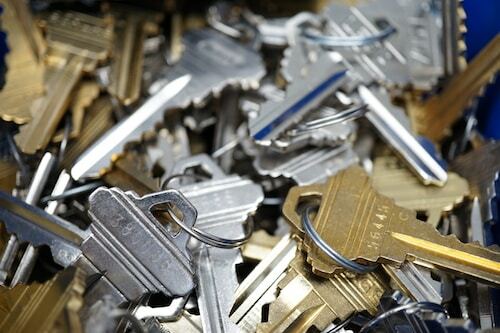 Whether you need key duplication services or a mobile locksmith to come to you, give us a call. One of our trained, certified locksmiths can help with all of your locksmith needs. Our services extend beyond keys. If you need other services for your home, business, or safe, please read more below. We love our community, so it’s really important to us that the homes in the community are safe. Our mobile locksmiths have the training and tools needed to secure your home with new locks, cameras, and security systems. We also offer 24-hour locksmith services, so if you accidentally get locked out of your house, give us a call. Our emergency locksmith service is also available if you accidentally get yourself locked out of your car. We can also program or re-program your transponder keys and your car remotes if needed. We are an ALOA automotive locksmith, so when you call us, you know you’re calling an automotive locksmith you can trust. Also, we have a Registered Safe Technician on our staff who’s happy to resolve any problems you have with your safe. 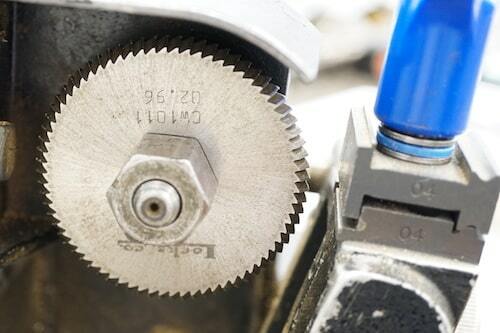 How fast can you cut keys? Key duplication doesn’t take long. In most cases, we can cut the key in under a minute. If you have a double sided key, it will take longer because we will have to cut both sides of the key. If you have a high security car key, aka a laser cut key, we have to trace the key with a machine and wait for the machine to cut the key. The machine typically makes several passes while cutting the key, so the process can take a few minutes. Can you cut a key that says 'Do Not Duplicate'? Most likely yes. Some keys say ‘DND’ or ‘Do Not Duplicate’, but they are a standard, non-restricted keyway so there is nothing illegal about making copies of those keys. In other cases, those keys are stamped for a reason. That reason is because the key is a protected keyway for high security hardware, such as Schlage Primus or Schlage Everest, meant to improve key control. For help identifying your key, stop by our location. How much do your keys cost? It all depends on the type of key you need cut. The best part of working with BB Locksmith is that our keys will work! You won’t have to waste gas, time, and money going from box store to hardware store only to end up at our shop to get the job done right. Standard house keys are typically the least expensive. Double sided keys are a little more. Car keys that need programming are even more than that. For exact pricing, please stop by our give us a call. What are the benefits of high security keys? High security keys equal key control. You can eliminate the risk of having unauthorized entry when you control your keyway. BB Locksmith will not allow unauthorized duplication when we install a high security keyway at your home or business. If you need additional high security keys, we will only duplicate the keys with proper photo identification and a signature at one of our lock shop locations.